Ever since Michael Bisping won the UFC middleweight championship with a shocking first-round knockout of heavily favored Luke Rockhold in the main event of June 4’s UFC 199 from Inglewood, California, there has been a seemingly never-ending stream of potential contenders for ‘The Count’s’ belt. Rockhold understandably wants his rematch, former champion Chris Weidman wants the title shot he was supposed to get against Rockhold, and even Bisping’s old nemesis Dan Henderson has been thrown in the hat after ‘The Count’ said he wanted to finally settle their score from 2009’s UFC 100 (and ‘Hendo’ knocked out Hector Lombard in devastating fashion). And then things were taken to an all-new – and unexpected – level earlier this week when all-time great former welterweight champion Georges St. Pierre revealed that he was willing to return for a title fight against Bisping if he could only get his contract situation with the UFC sorted. 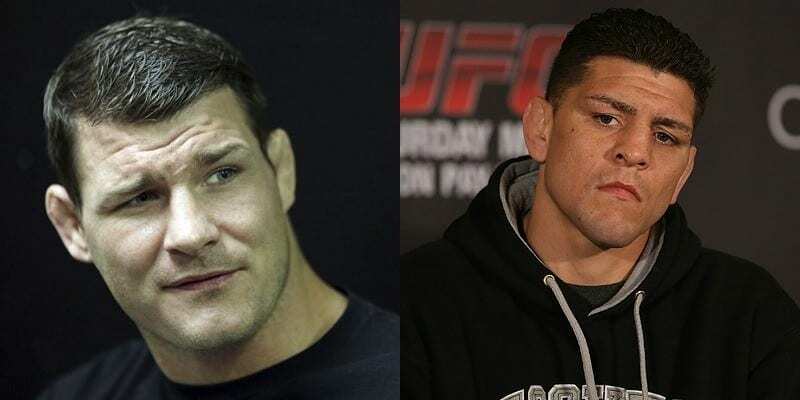 Weidman was quick to point that Bisping was perhaps taking ‘easy fights’ in order to hold on to his belt, but the fact remained that any fight with ‘GSP’ – even a title fight in a weight class he had never fought in – was big money bout that simply could not be passed up. 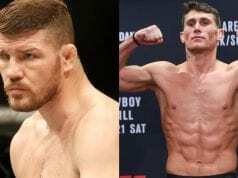 Perhaps Diaz is looking to get an advantage on the larger Bisping by forcing him to cut an unusually large amount of weight, but it is a curious suggestion given that ‘The Count’ is finally the UFC middleweight champion and that appears to be what everyone is chasing him for. The older Diaz brother will be eligible to return from his marijuana-based NSAC suspension this August, and it’s no secret that some big fights will await him despite the fact that he hasn’t won a UFC fight since 2011 – yes, 2011. 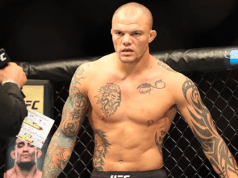 Just don’t count Michael Bisping as one of them, because with a full queue of competitors chomping at the bit to get a chance at his 185-pound title, it’s almost impossible to see ‘The Count’ even considering a drop down to 178 pounds.